JPC provide a range of programs to strengthen family relationships. Workshops and activities based on parenting issues the family unit are held throughout the year (dependent on the needs of the community). Pastoral workers can visit parents and couples in their homes to offer support and assistance with daily matters. All families have their ups and downs and a pastoral visit can provide confidential and encouraging support in times of difficulty. 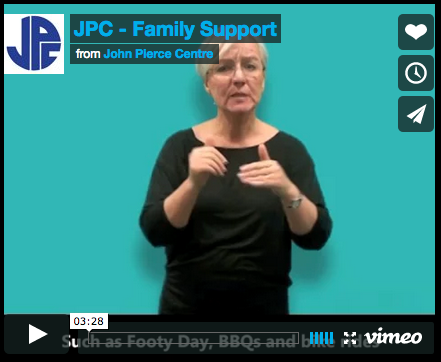 JPC also provides regular fun activities for Deaf families with primary school aged children such as ; Footy Days, BBQ’s and bike rides, beach days and ice skating. Those with pre-school aged children might be interested to attend Signee-Tots our playgroup for Deaf parents with hearing or deaf babies and toddlers. Pastoral Care support addresses issues of spiritual, personal and community concern, enables relationships to develop with each other and in your individual faith journey, and encourages a sense of belonging to a faithful community. Deaf people experiencing depression, anxiety, addiction, gambling, family conflict or other issues can seek help from John Pierce Centre. The pastoral care team can work with you to find the appropriate qualified counsellor, and can help arrange an Auslan Interpreter. In some cases, you can receive up to six free sessions with a qualified counsellor, if you ask your GP for a Mental Health Services Plan. JPC’s pastoral worker can help to make your appointments and make sure you have an interpreter you feel comfortable with. When you meet with someone for counselling you are taking a positive step towards improving your relationships with family or friends and also how you feel about yourself. At different times in life we can feel anger, disappointment, sadness or confusion. If you feel stuck and not sure how to improve things, counselling might help you. 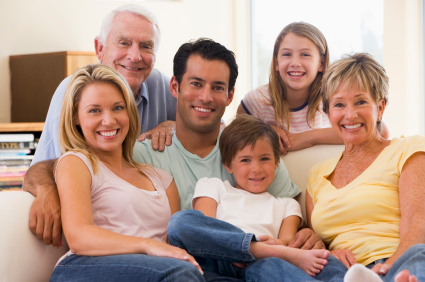 Counselling is for families, children, young people and adults in all stages of life. If you are experiencing challenges and difficulties in life, the counsellor will try to help you explore different options that might improve your situation. The counsellor will support you through any pain or confusion you feel. A counsellor will not judge you or tell you what to do. You will still make your own decisions and choices. Counselling may be for a short time or long term. Your culture, religious beliefs or personal values will be respected. Counselling is for everyone. We provide individual couples with support in preparation for their wedding. This includes the use of FOCCUS program (in Auslan on DVD) which encourages couples to discuss topics important in their relationship. We provide a pastoral outreach to Deaf people in urban and regional Victoria. This outreach includes home and hospital visits, family support and advocacy.